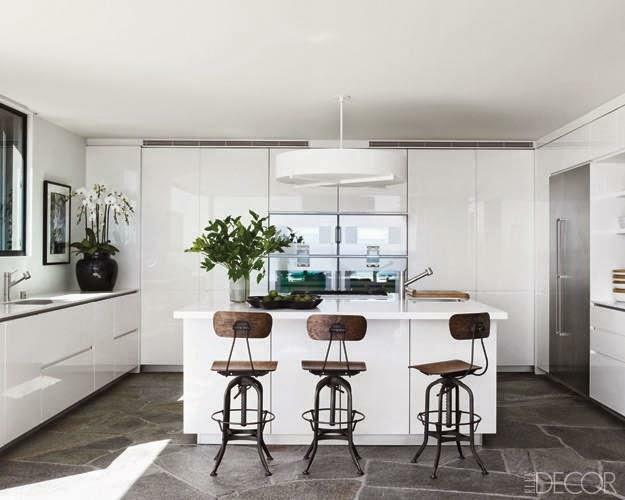 Created by award-winning interior designer Trip Haenisch, the former Friends and Cougartown star has opted for the sheer white minimalist touch here, with CaeserStone countertops and ovens, while the built-in refrigerator is by Gaggenau. How cool are those barstools? What Kitchen Trends are here to stay?